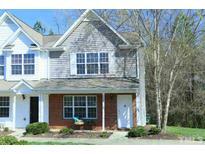 Below you can view all the homes for sale in the Southall subdivision located in Raleigh North Carolina. Listings in Southall are updated daily from data we receive from the Raleigh multiple listing service. To learn more about any of these homes or to receive custom notifications when a new property is listed for sale in Southall, give us a call at 919-759-5376. Screened porch with private backyard. 2 car garage. MLS#2244944. 3300. Pool included in HOA dues. Move in and enjoy! MLS#2248099. 1502. Two master suites upstairs-both featuring vaulted ceilings,en-suite baths w/dual vanities & spacious walk in closets.Wooded views behind home offer privacy,a patio for grilling+walk to greenway. Pool & Ex. Maintenance! MLS#2245752. 1127. Steps from the Neuse River Greenway Trailhead. See Agent Only Remarks MLS#2244822. 1284. The property is close to 540, 401/Louisburg Road, Triangle Town Center, restaurants, Wal-Mart, Walking trail and so much more. MLS#2244578. 4495. 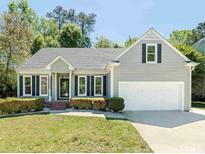 Wooded views behind home offer privacy + walk to the greenway! Hurry-won't last! MLS#2242114. 372. Steps from the Neuse River Greenway Trailhead. Please see Agent Only Remarks MLS#2239585. 1284. 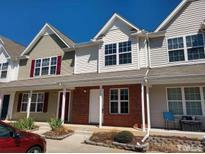 Access to a community pool is part of the Southall Commons Homeowners Association, Inc. MLS#2239051. 4823.